Applicant tracking systems are software programs used by employers to (among other things) filter resumes submitted by job applicants. In theory, the resumes for the most qualified applicants score the highest, so typically, the employer will only look at the highest ranked resumes. Unless applicant tracking system software advances and becomes smarter, resumes must be formatted in a very specific way for the software to be able to read and interpret the document correctly. That means, when your resume will be filtered resumes using ATS software, it must be written and formatted using some specific rules that make it easy for the software to read the document. Unfortunately, the formatting rules that help the software read your resume make it tougher for a human to read it. Job seekers may worry about that trade-off. Sure, the ATS software will read the resume correctly when appropriate ATS formatting is used, but what happens when that ATS optimized resume reaches a human reader, and it is formatted in a way that isn't ideal for a human? Sometimes, depending on the nature of the hiring process, you'll have the option to send both versions of your resume (ATS optimized and traditional, human optimized), and the employer can use the version he or she prefers. However, other times, due to the nature of the hiring process, you'll only have the option of submitting one version of your resume - ATS optimized or traditional, human optimized. What's a job seeker to do in that situation? While I can't get into the minds of all employers, and everyone has their quirks, if I knew the employer was using ATS software to filter applications, and I could only send one version of my resume, I would submit an ATS optimized resume. If I know for sure that the employer is filtering resumes using ATS software, then I know my resume must score well with the applicant tracking system software, or a human will probably never see it. If I submit a traditional, human optimized resume when I know the company is filtering applicants using ATS software, I run a real risk that my resume won't score well enough, and a human will never even look at my resume. If I never get past the first stage screening by the ATS, it doesn't matter how human-friendly my resume is because a human at the company will never see it. 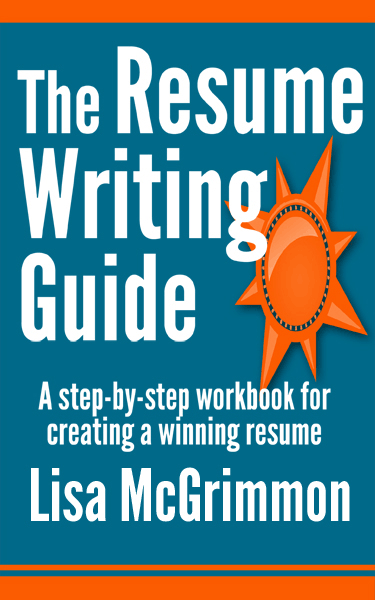 When a company structures the hiring process so they are receiving ATS optimized resumes only, the person doing the hiring knows to expect a different type of resume; one that is typically longer than a traditional resume and less well suited for a human reader. Hiring managers who do a lot of hiring and work with ATS software become used to reading resumes in ATS software format. Also, some ATS programs will parse resumes for employers, so when they view your resume through the software, they are not simply looking at the long document with minimal formatting that you submitted. Instead, they are looking at a document that is broken into sections that are relevant to the employer. When you know an employer is using ATS screening, the risk of losing out on an opportunity because a resume is not ATS optimized is greater because fancy formatting and less careful and thorough use of keywords can cause a resume to score low enough that it doesn't make it through that initial screening. The risk of losing an opportunity because your ATS resume is less human friendly is smaller because the employer fully expects certain formatting and content when job seekers submit ATS optimized resumes. There's also the issue of doing what the employer asks for to consider. If an employer has asked for an ATS optimized resume, by providing that type of resume, you are giving the employer exactly what he or she asked for, and that's important in a job search. If an employer has asked for an ATS optimized resume, and you provide a human optimized resume and no ATS optimized resume, you are not following the employer's instructions. For some employers, failure to carefully follow instructions provided in a job ad or application form can be enough to take a candidate out of the running for a job. The thinking is, if the job seeker doesn't carefully follow instructions while job hunting, they won't carefully follow instructions while on the job. When you're invited to an interview, you can bring a few copies of a traditional, human friendly version of your resume along. If you've applied to the job using an ATS optimized version of your resume, I would recommend bringing a few copies of the ATS optimized version as well as a few copies of the human optimized version. You might not need both versions, but it doesn't hurt to be ready for anything the employer might ask for when you're at an interview. It shows you are thorough and show up well prepared for important tasks. You've written a resume designed to be read by ATS software, now you need to save it correctly. Here's how.